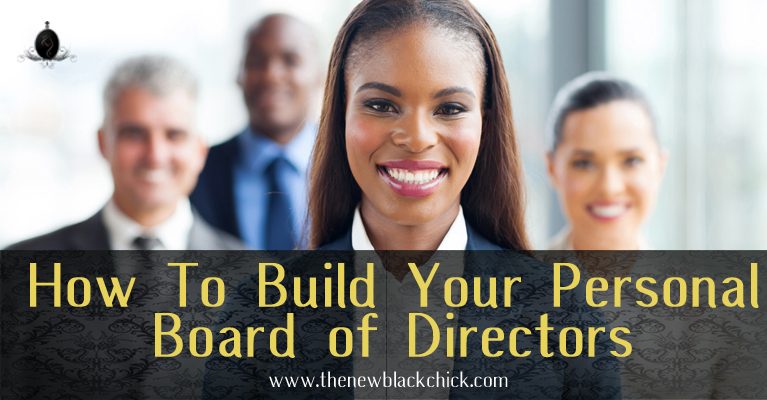 Do you have a board of advisors? I’m not talking about your company’s board of directors. Do you have a group of people you can go to that you trust to advise you correctly and keep your confidence? We have long heard the benefits of having a mentor to help with critical professional development. Sponsors and advocates, are equally if not more important. Their role is to use their influence to bang the table for you to ensure you get opportunities or at least on the short list. You may not always know who your sponsors are and generally speaking, they choose you. When selecting a group of personal advisors it’s important to understand the difference between mentors and sponsors. They can be interchangeable, however you don’t necessarily want to be telling your sponsor your deepest darkest secrets. Sponsors are the ones that will go to battle for you while mentors are the ones that prepare you for the war. No one succeeds alone despite what you may hear some people at the top say. It wasn’t just hard work that got them there. Someone or someones gave them opportunities along the way and/or acted as air cover. While there were others who were closer and helping that person walk their day-to-day path and creating strategy. The biggest mistake people make in selecting a mentor is that they select only one. Or they go from one to the other without maintaining the relationship. Organizations are multi-faceted and you need a group of people who represent various levels and communities within the organization. This group of advisors should also be diverse. As a black woman you shouldn’t rely only on other black women. 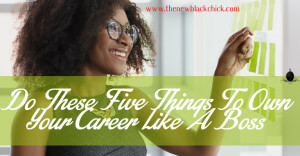 Not only are you unlikely to find very many high level black women in the organization, if you do they are probably pinged every day to be a mentor. You should be including white men because they are the key to creating diversity within organizations. Because they still garner the majority of the top spots they make the decisions that impact the organization beneath them. Also include people of various races Asian, Hispanic, etc. Everyone brings a different piece to the puzzle. Besides, what sense is there in excluding a population from your board of advisors while at the same time asking for more inclusion on the organization’s leadership team? Who should be on your board of directors? 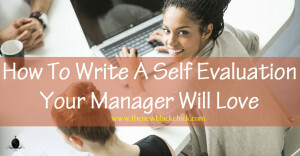 The best way to determine who should be your trusted advisors is to determine where you are in your career and where you want to be. From there you can more easily identify who should be on that team. There are obvious choices and not so obvious choices. When I wanted to go into medical device sales from an internal role I started with my manager. He connected me to sales managers he knew. I also cultivated relationships with other sales leaders across the organization, business presidents, and sales people. Those were the obvious choices. In addition I sought out marketing directors and other people who had made a similar transition from in-house to the field. The marketing directors would be able to give me a different perspective on what a successful sales rep looks like. The people who already did this can tell me their tips, tricks and pitfalls. 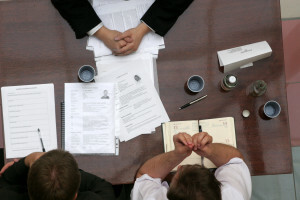 I also relied on relationships with sales recruiters to assist in preparing for interviews. Lastly, I worked with HR people and other in-house people to help me develop a transition strategy for coming out of sales and back in-house. This team of people gave me a 360 degree view of just this one career move. Over the course of your career you will have many moves and this board of directors will likely constantly be in flux. How do you get people on your board? There are two ways. You can formally ask them or you can just keep showing up and asking them questions. The higher up in the organization a desired board member is the more likely this relationship will be more formal. You will need to ask if it’s okay to meet with them regularly and be specific and planful about those meetings. Some organizations have formal mentor matching programs. I’m not a huge fan of those. They can be okay, but it’s more of a forced fit than a naturally occurring one. The other way to get someone on your board is to just keep showing up in their office or inbox. This is more informal. This method can be used with someone who has more flexibility with their schedule. A big mistake I see people make here is that they meet with someone and then never follows up with them again. This happens to me. Someone will schedule time with me to get my perspective or advice but then they fade away. I would have been more than happy to form a relationship with them and keep the conversation going. More oft than not people want to help, your job is to be someone they can put their name on. When do you check in with your advisors? If you can, connect with them every month. Again, those who are higher up in the organization it may be more like once a quarter. Those with more flexibility connect live over lunch or a 30 minute meeting. Those with less, shoot them an email with a link to an interesting article. You’ve given them yet another email to respond to so make it a pleasant experience. Each person on the board will be somewhat different in terms of check in. There are some people I check in with a couple times a month to a couple of times a year. I will say I am guilty of not staying in consistent contact with my group of advisors. That group has grown to be quite big over a 20-year career. I make you a promise, we can work on this one together. Type II: Personal Advisors – someone you frequently interact with outside of work. What’s next? The first step is to map out where you are versus where you want to be. You should have some sort of development plan. Unfortunately, most companies don’t do this very well. You either don’t have one or you have one that your manager doesn’t work on with you. Take what is provided by your company or create something new. What you want is to write down your short and long term goals. Write down the skills you currently have and the ones you need. Once you have identified your gaps look for people who can help you get there. When I first applied to business school I was rejected by every school. The next year I changed up my entire strategy. I sought out people who were where I wanted to be and asked them how they got there. The next year I was accepted to the University of Michigan Business School (prior to adopting the Stephen M. Ross name) and was awarded a full tuition fellowship from the Consortium for Graduate Study in Management. Nothing changed about me fundamentally in the 12 months between application seasons. What changed is that I created a board and they helped me to brand myself, amplify that brand and highlight my accomplishments in a way that resonated with the admissions committee. Additionally, and probably most important, I didn’t try to hide my flaws the second time around. I talked about the skills I had but also where I had gaps and how the program could address those. Granted, I make it sound easy but it was months of work that paid off. What if it’s not a good fit? In order to be in a relationship with someone they have to want to be in a relationship with you. You won’t click with everyone you meet. You must approach these meetings authentically. Be yourself. Don’t come to the meetings or to the relationship constantly asking yourself what this person can do for you. That is my pet peeve – when someone meets with me and it’s all about what I can do for them, how I fit into their puzzle. What about me? Always ask or offer what you can do for them. I have a rule to these relationships. If the person doesn’t seem as though they want to be in a relationship with me, I won’t push or pursue it even if they are the linchpin in a career move. People have to have a desire to be on your team otherwise when a critical moment in your career comes they may not offer the best advice or come to the table when you need them. But also, no one wants to feel like you’re only trying to get to know them because they are your linchpin. Influential people know they are influential and can be guarded about who they associate with. Over time these folks may become allies and future board members but allow them to opt in on their own time. Some mentors may pursue you. I almost missed one of the biggest opportunities of my career because I was intimidated by SVP/President. He was (and still is) so well-respected, savvy, and smart that I felt I didn’t deserve to even speak to him. He would try everything to strike up conversations with me and I would scurry away as soon as possible. Then one day he just laid it out for me “I’m trying to help you!” And help me he did! While it seems like obvious advice to accept the hand when it’s put out to you, sometimes we can get in our own way. No one should be on your board who isn’t a good fit. They shouldn’t make it that far. 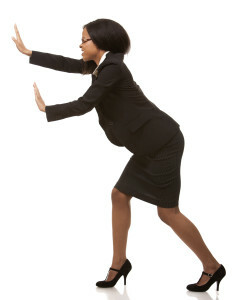 When you first engage with someone you will know over a short period of time if you want to move them to your board. You can have relationships with people who may not be a good fit for you needs currently but may be in the future. If they are assigned to you, make the best of it until the time period runs out and keep them in the back pocket for the future. Keep in mind that while they may not be a good fit for you, you may be a good fit for them. You may be the linchpin in something they need. Remember, all of your interactions and relationships should be genuine and symbiotic. Never rule out what you bring to the equation for your board members. By the way, all of this still applies if you’re an entrepreneur. Did you find this post interesting? Please comment below and share within your communities. We want to hear from you.